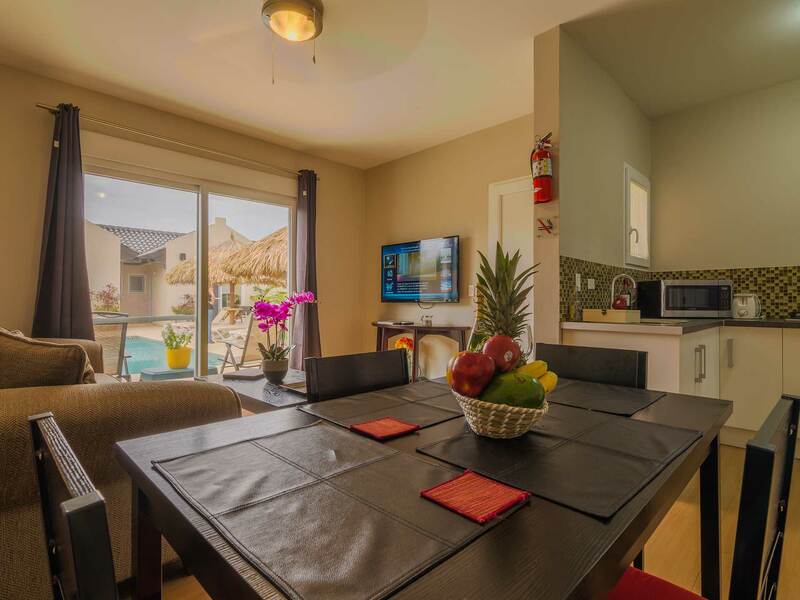 Eight luxurious one-bedroom suites surround an attractive pool deck. 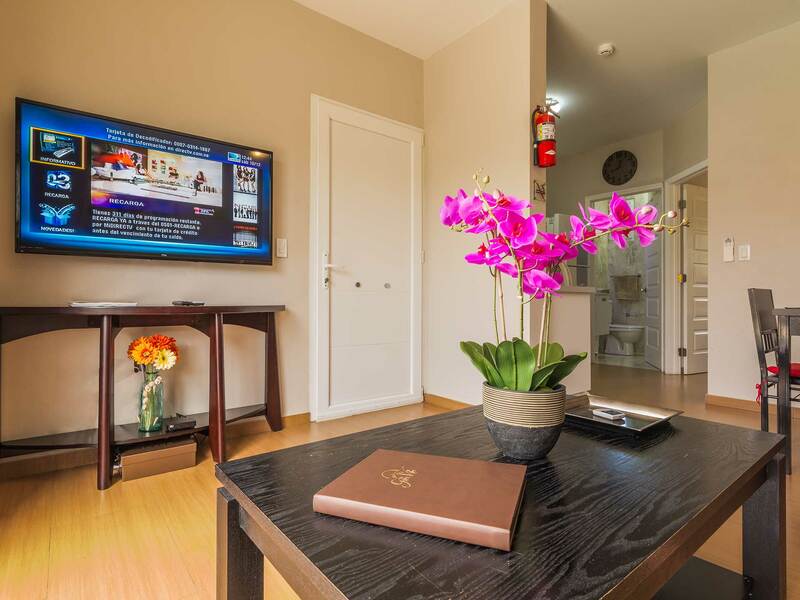 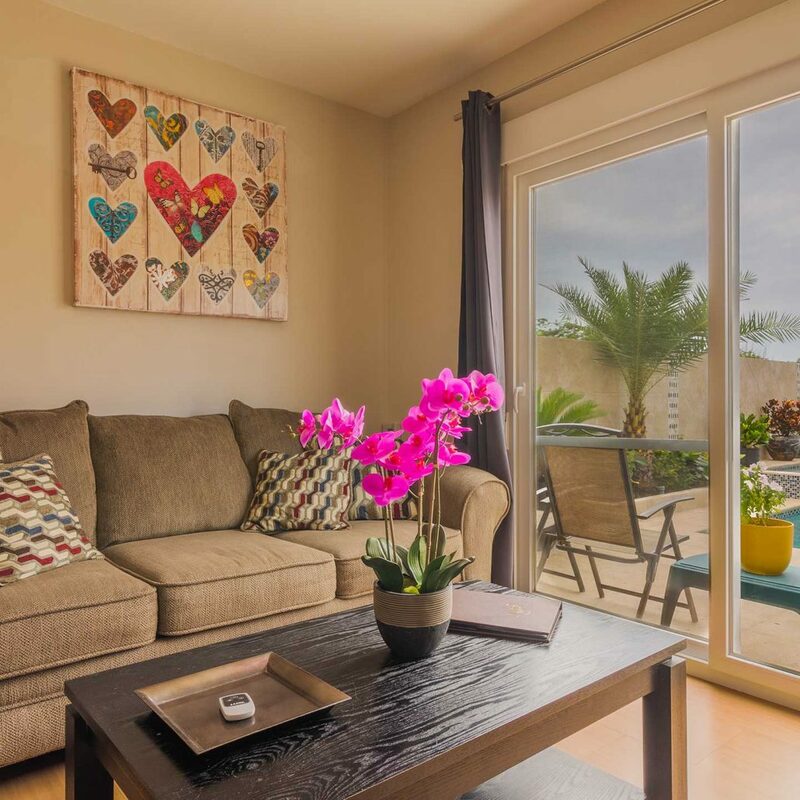 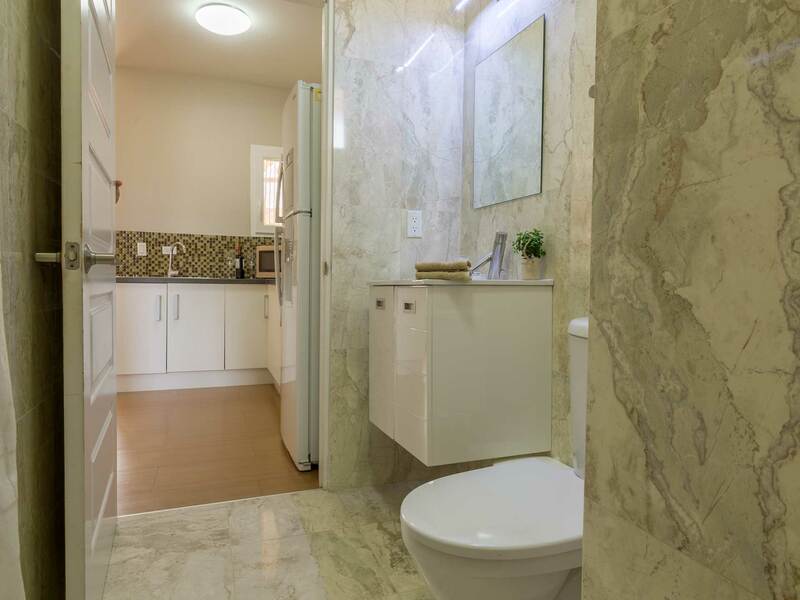 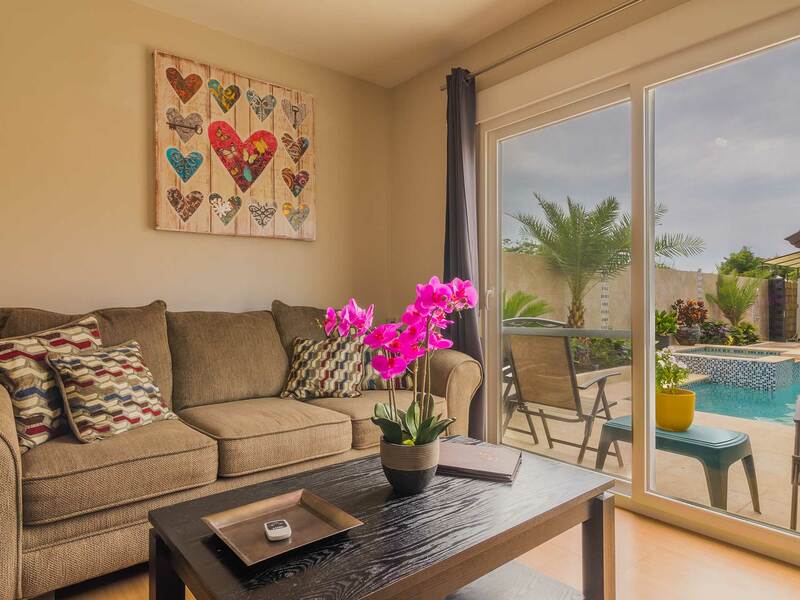 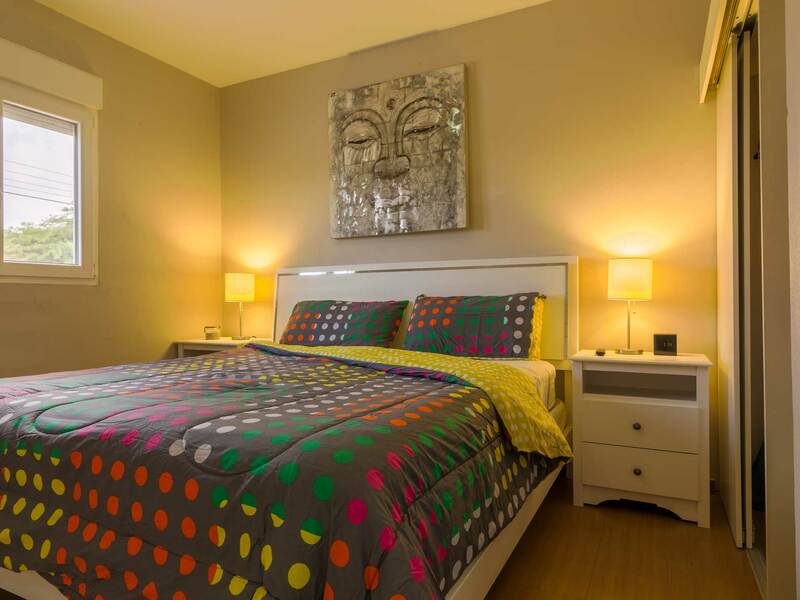 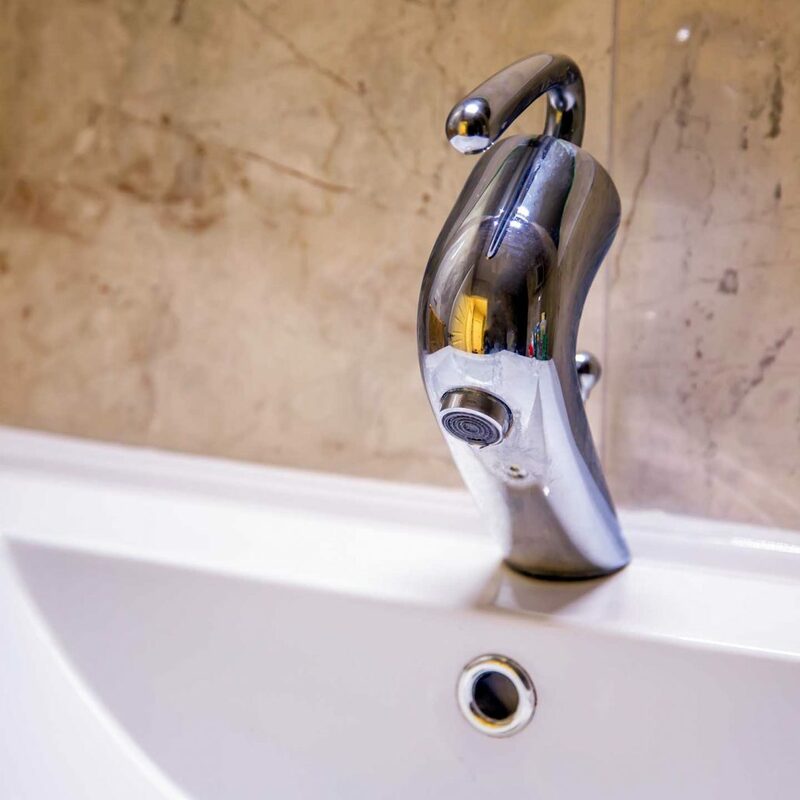 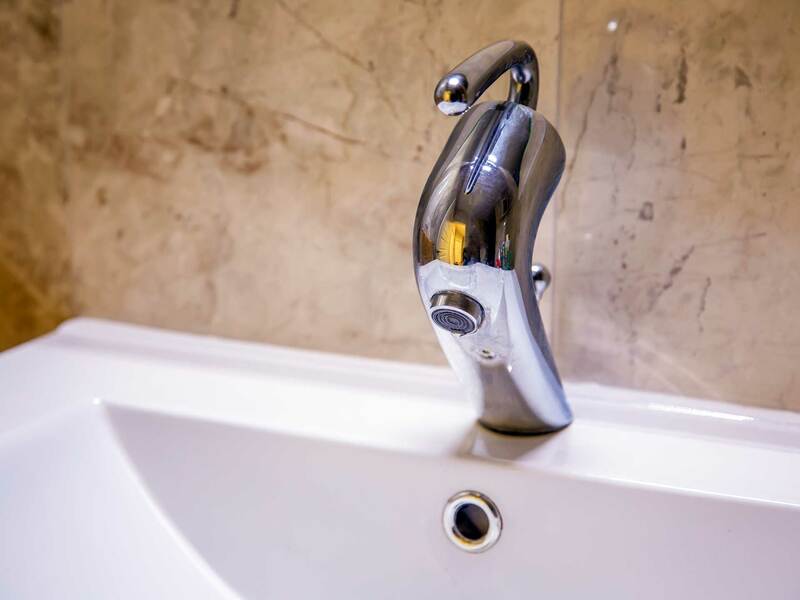 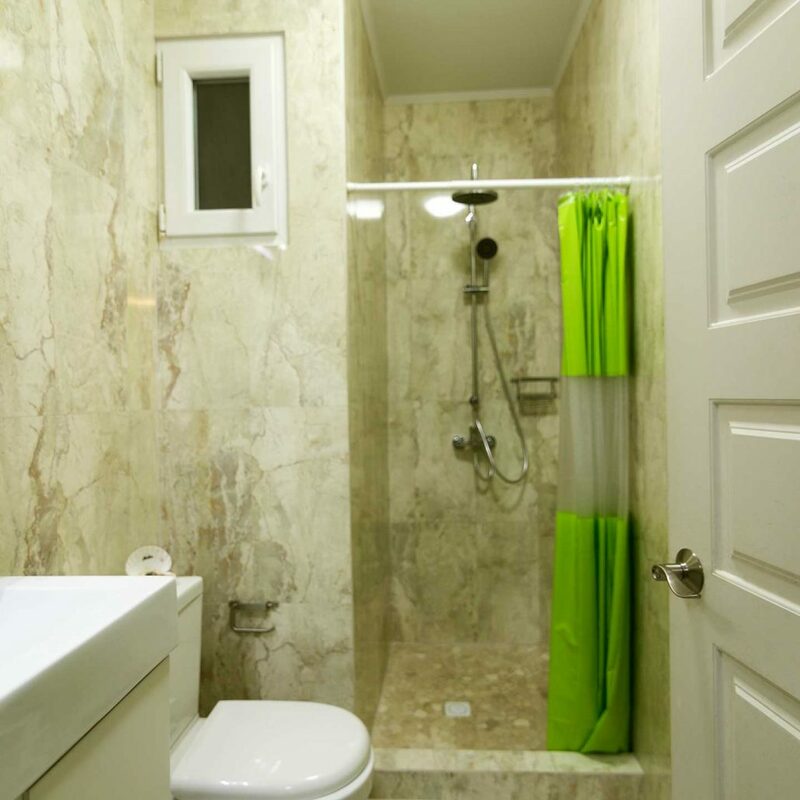 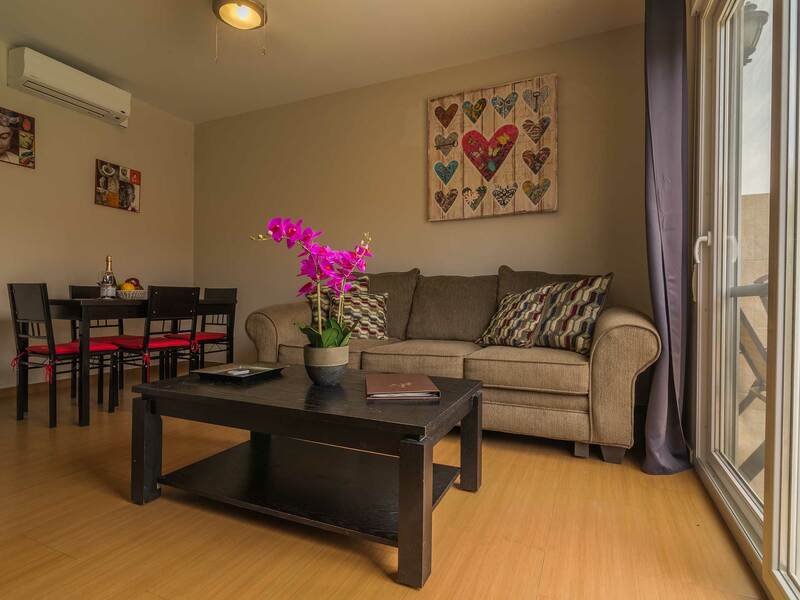 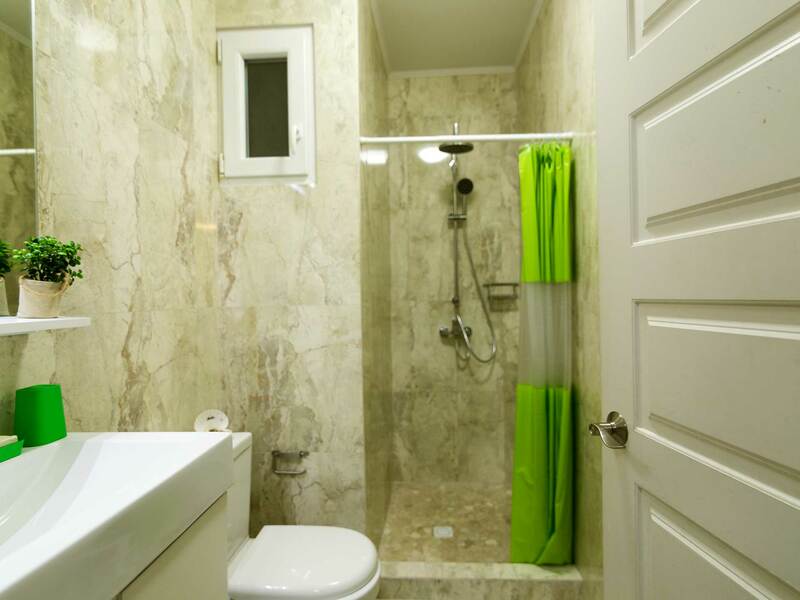 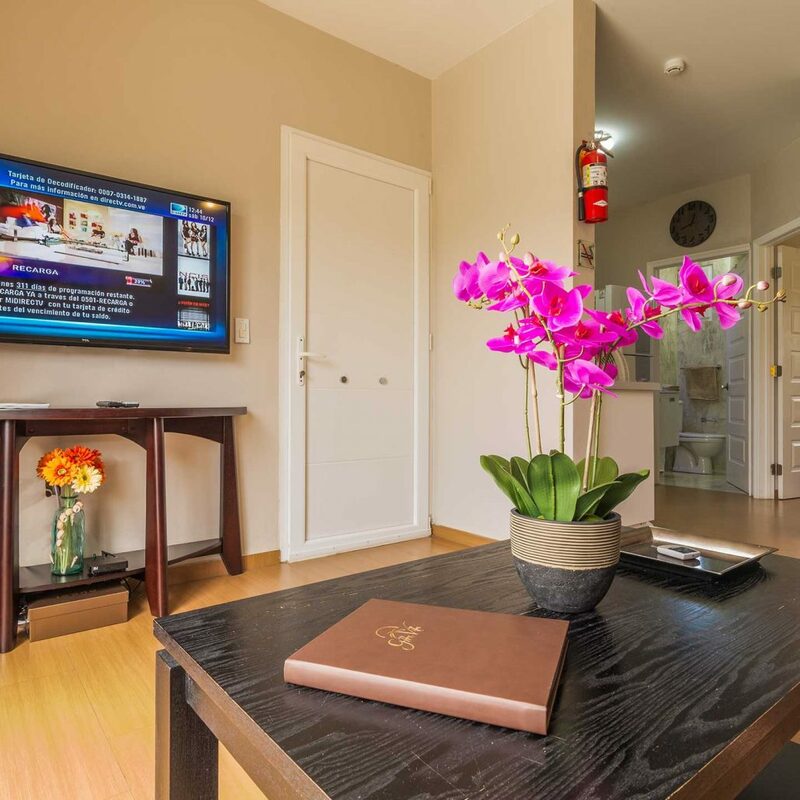 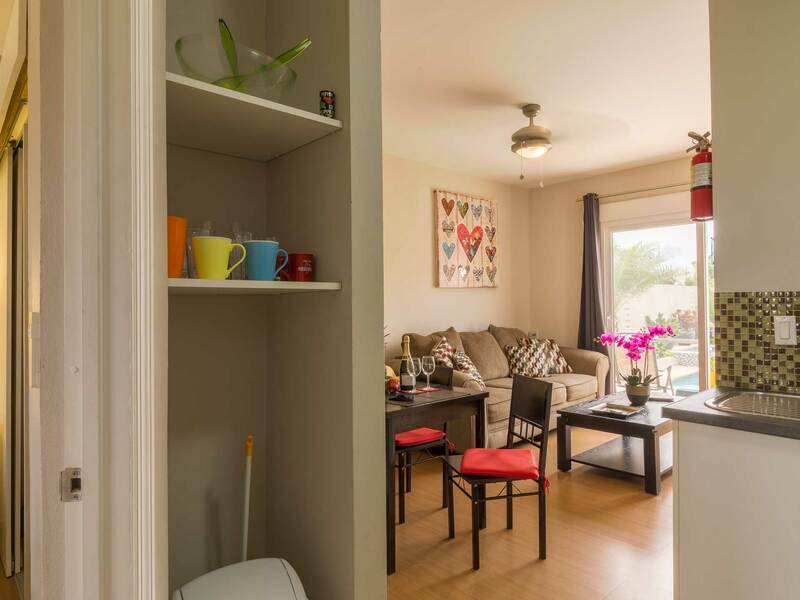 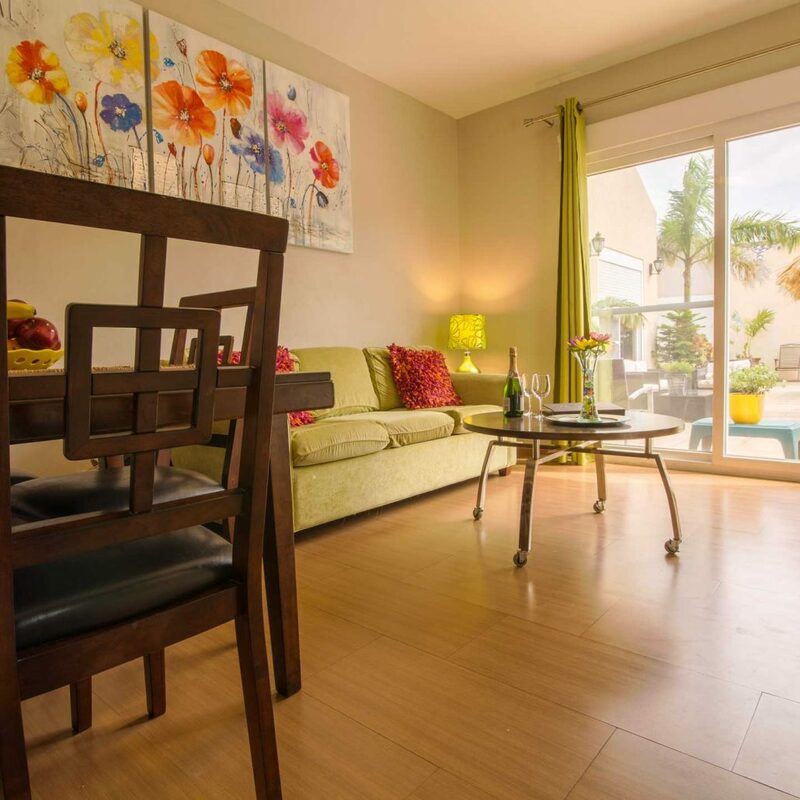 Contemporary styling and all modern conveniences insure you will enjoy your visit to the fullest. 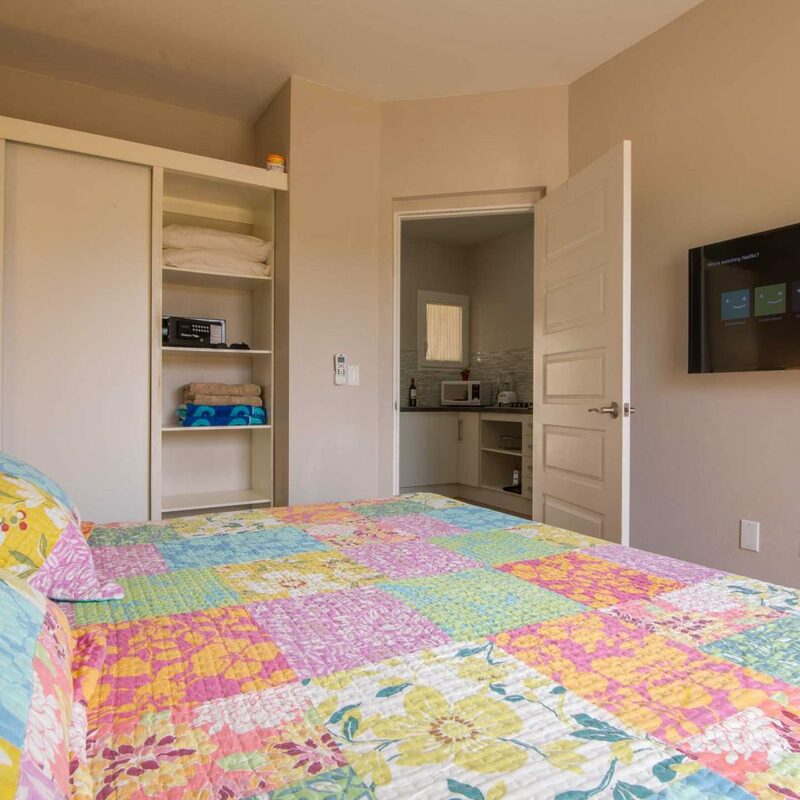 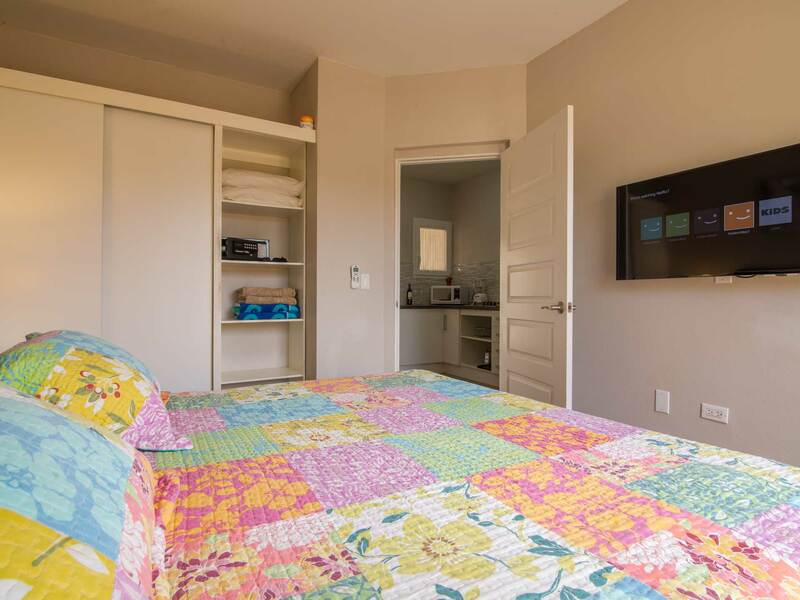 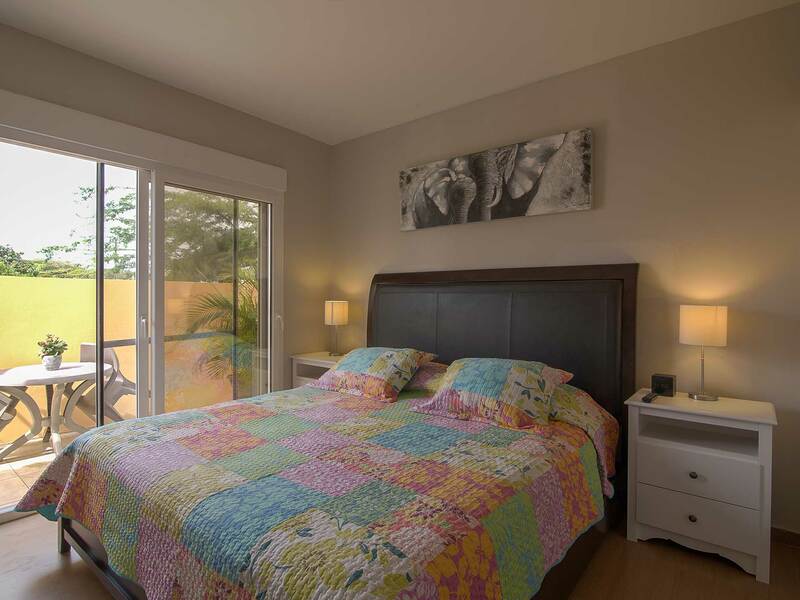 Comfortable community areas and large bedrooms provide privacy when you want it and congenial, social gatherings. 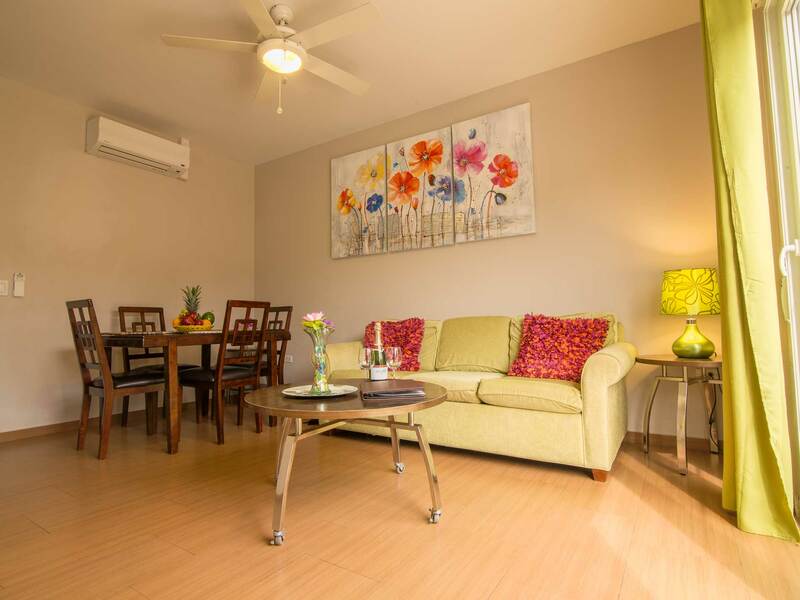 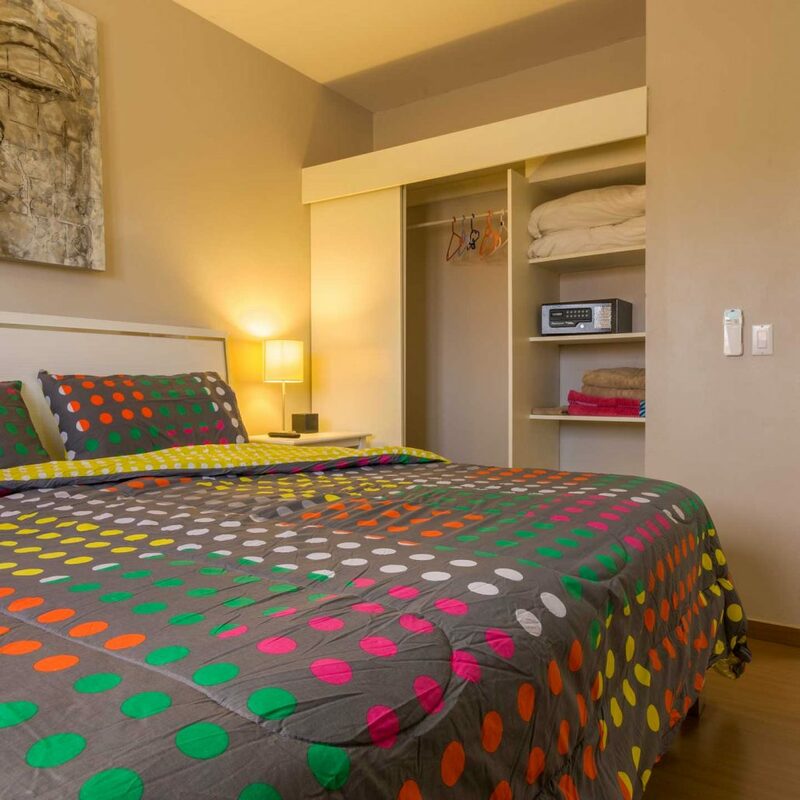 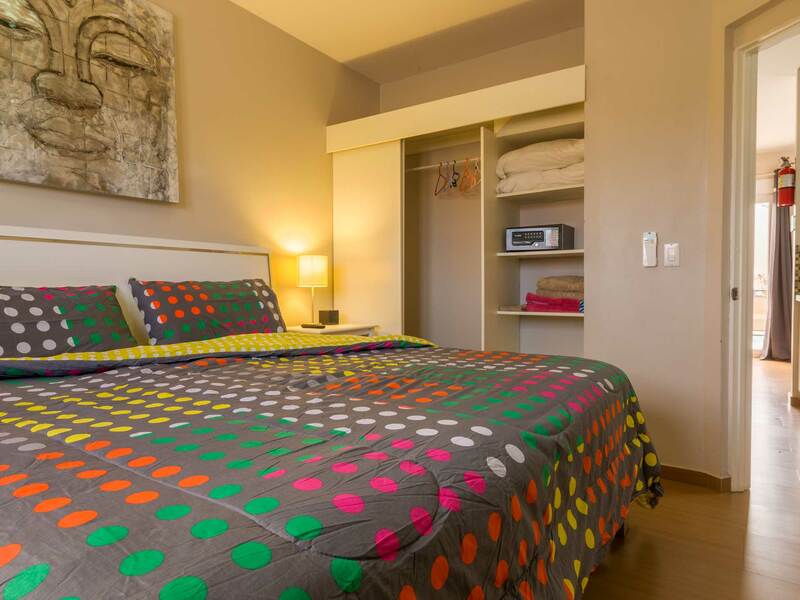 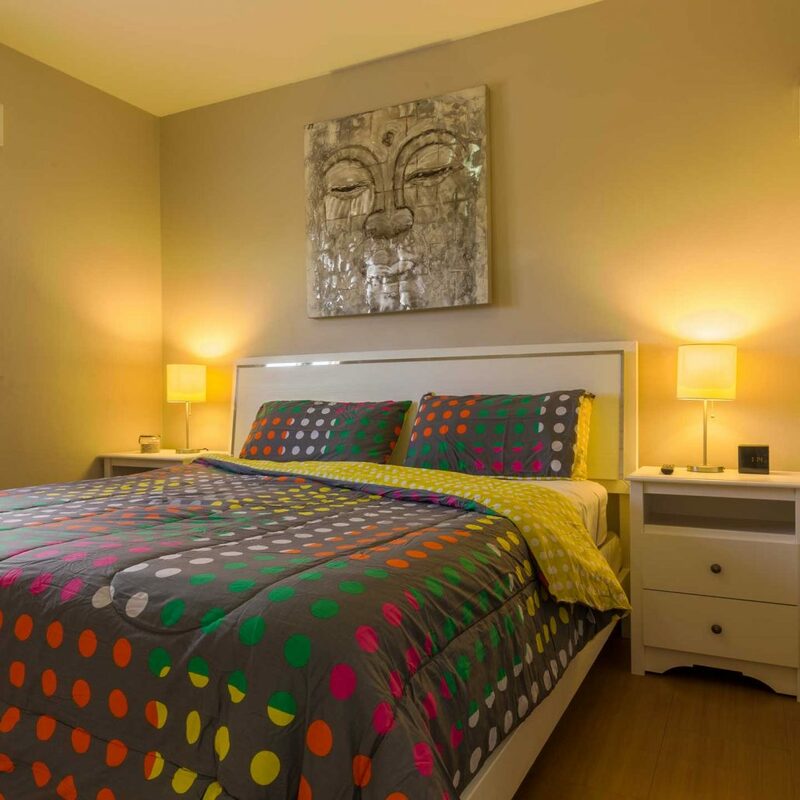 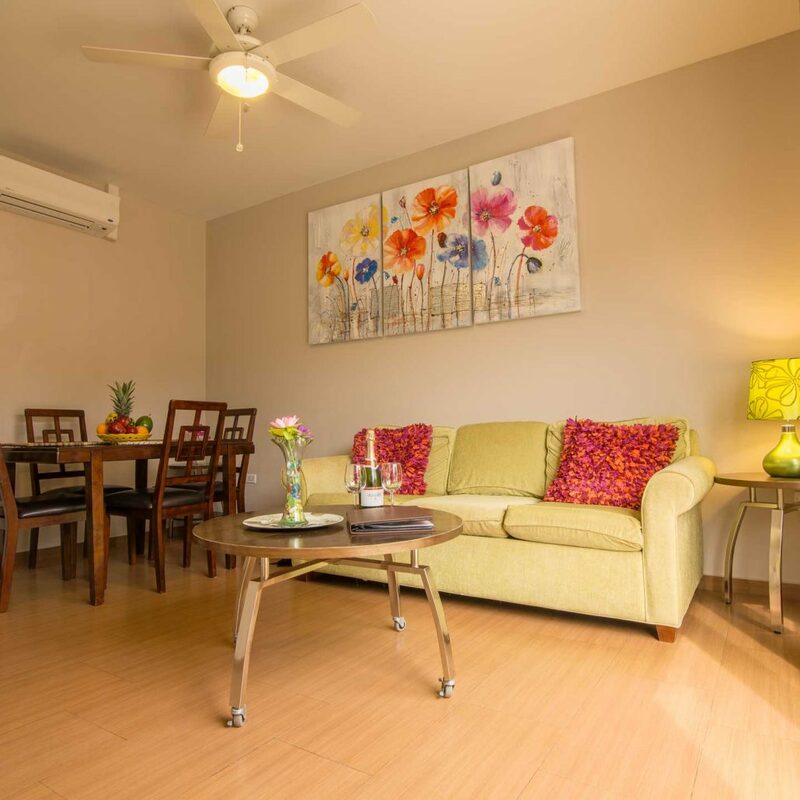 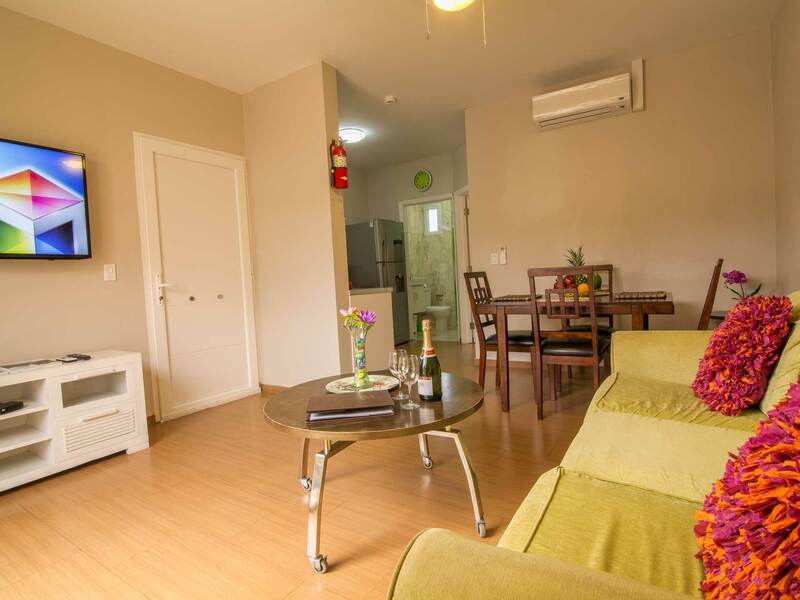 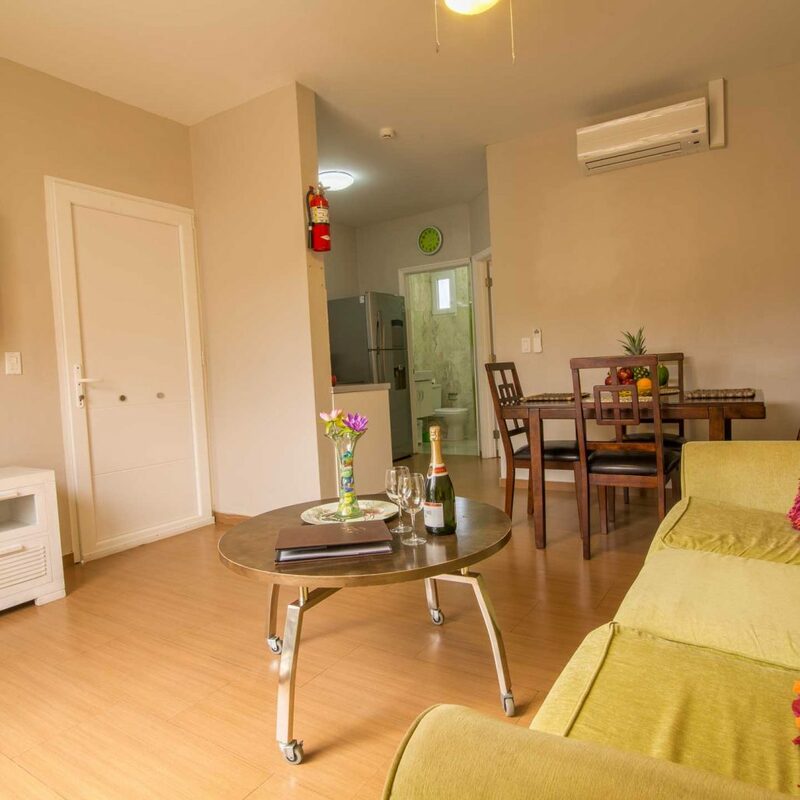 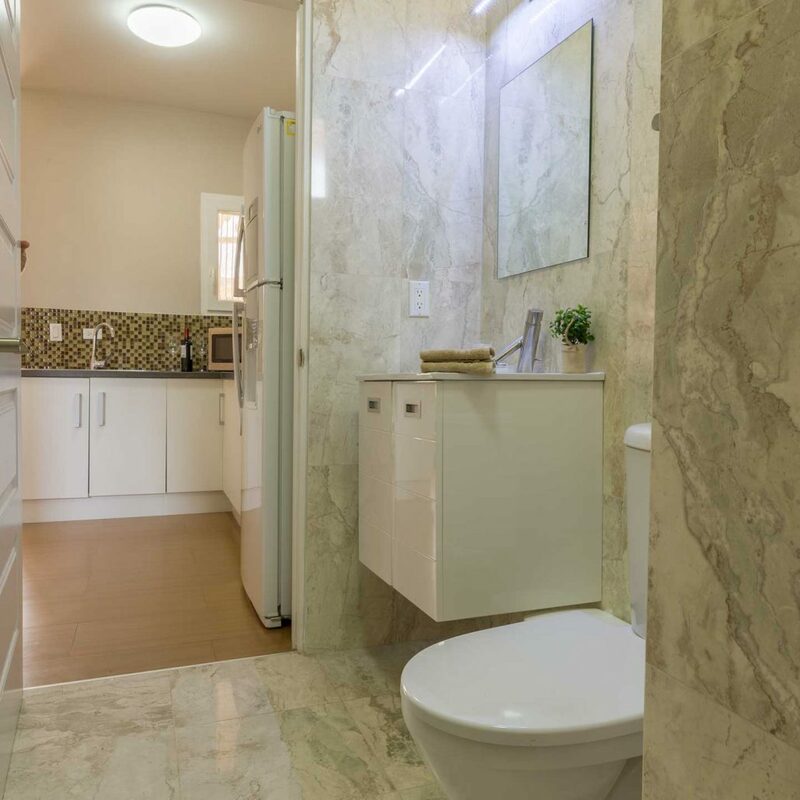 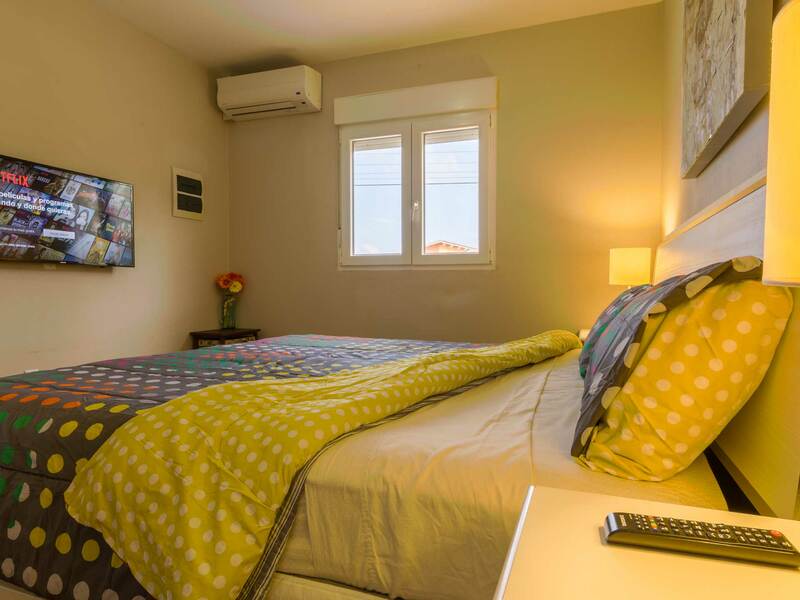 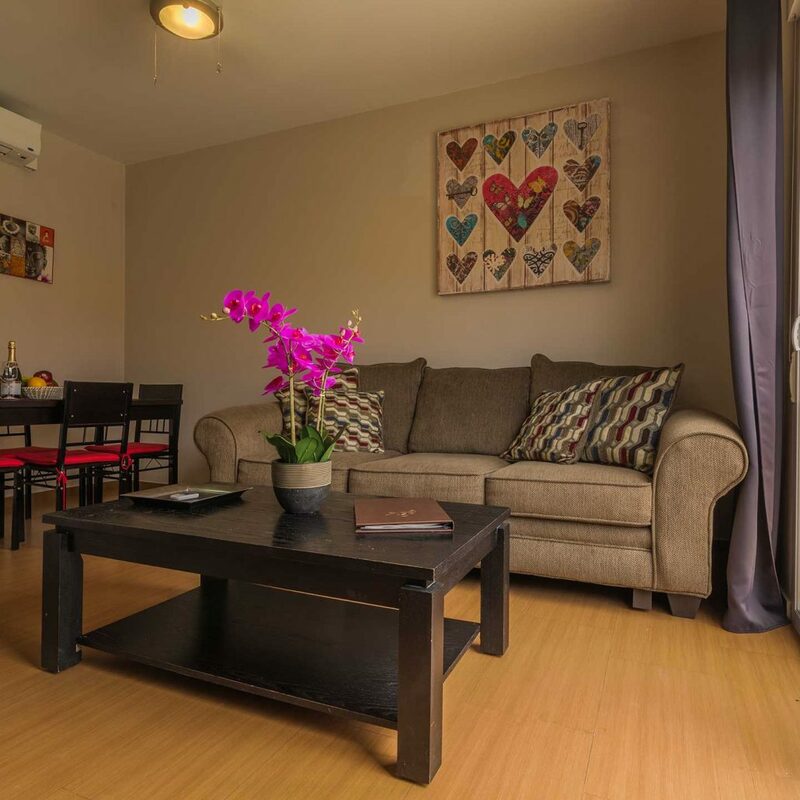 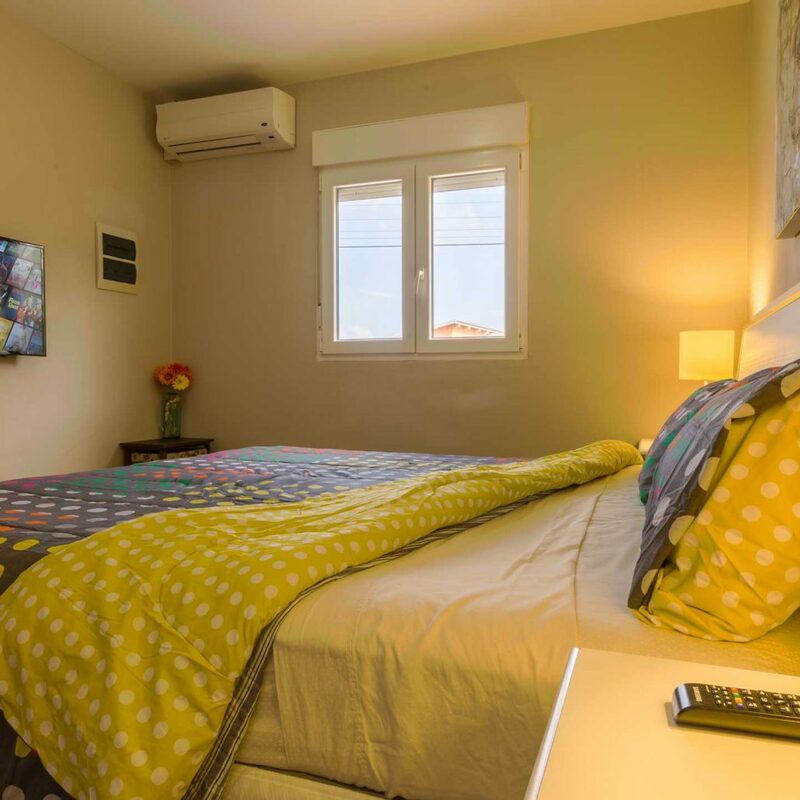 All apartments share the same spacious layout, but each is decorated individually, providing a unique, and delightful ambiance. 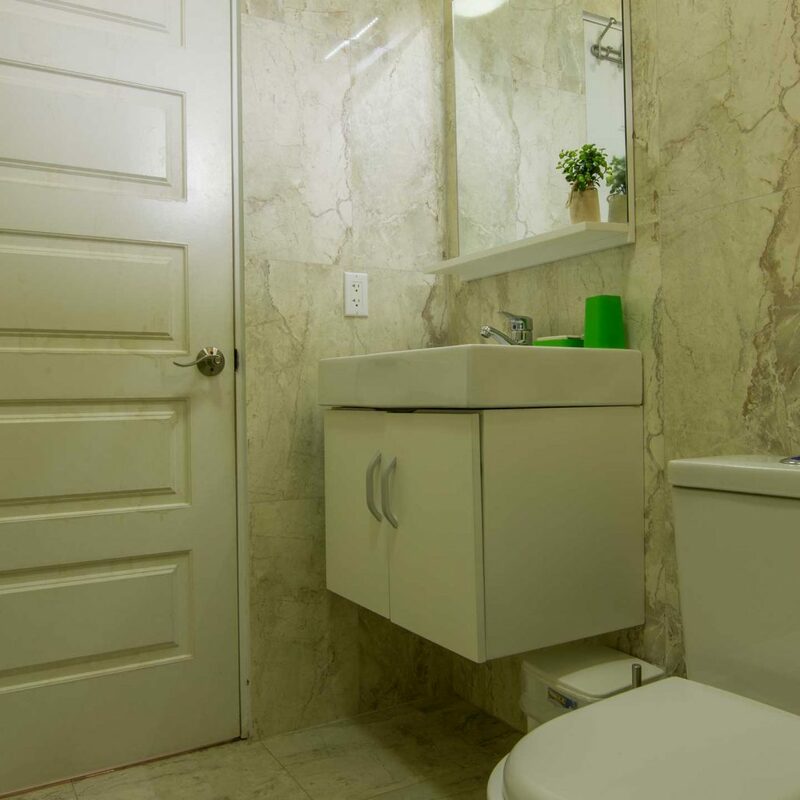 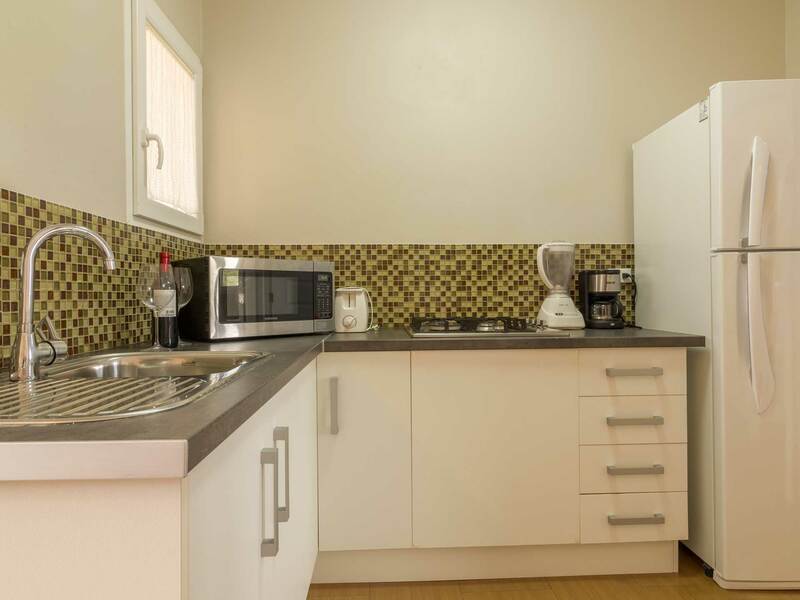 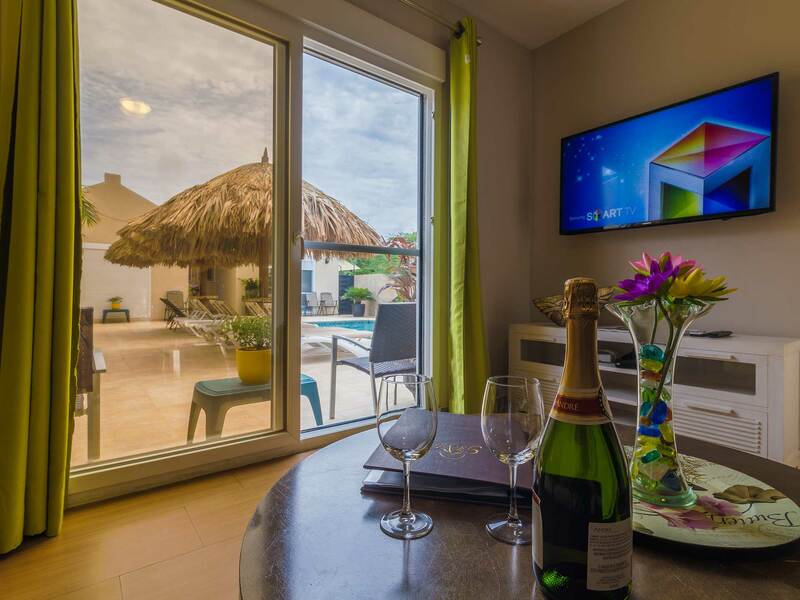 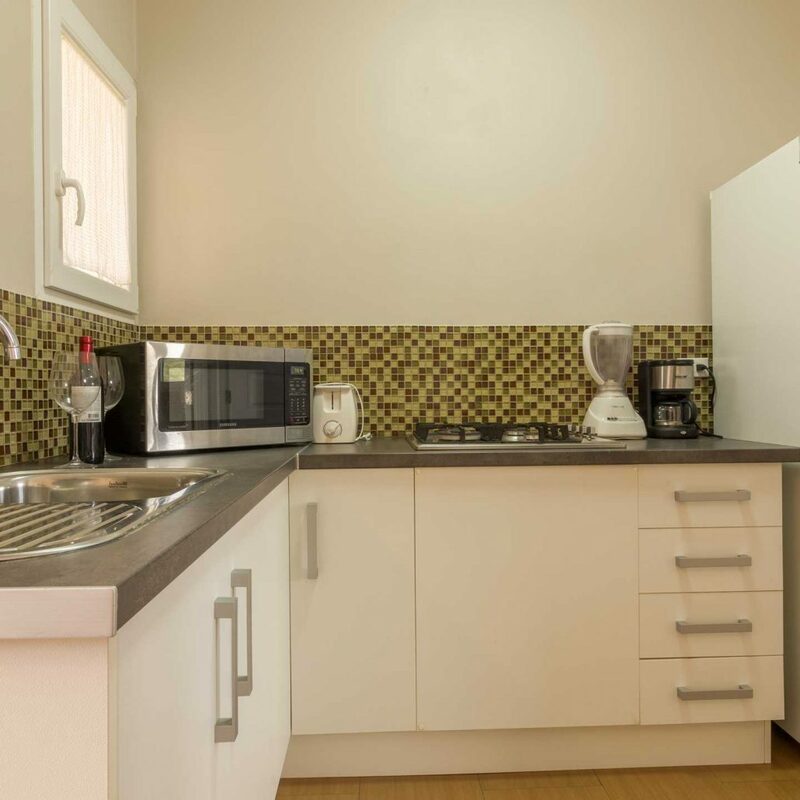 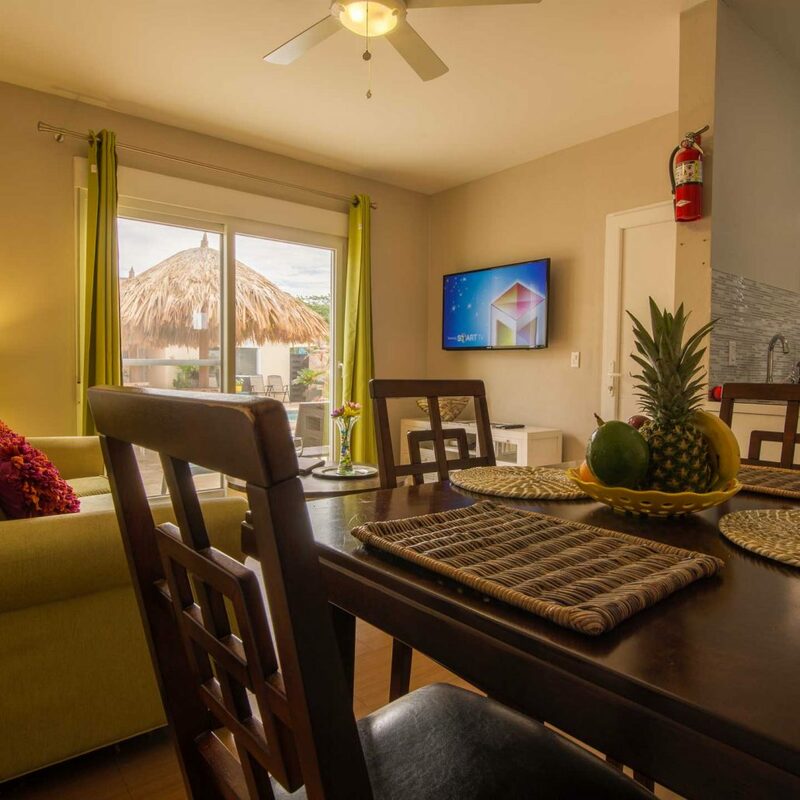 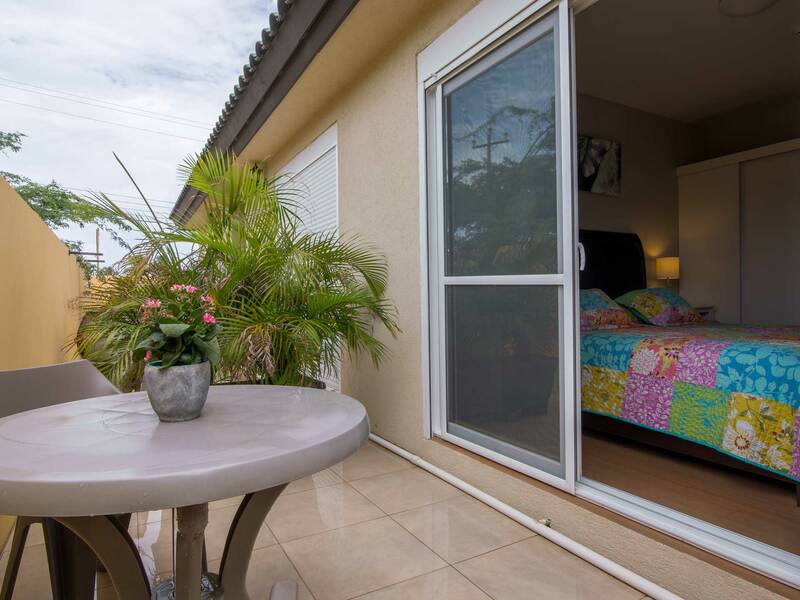 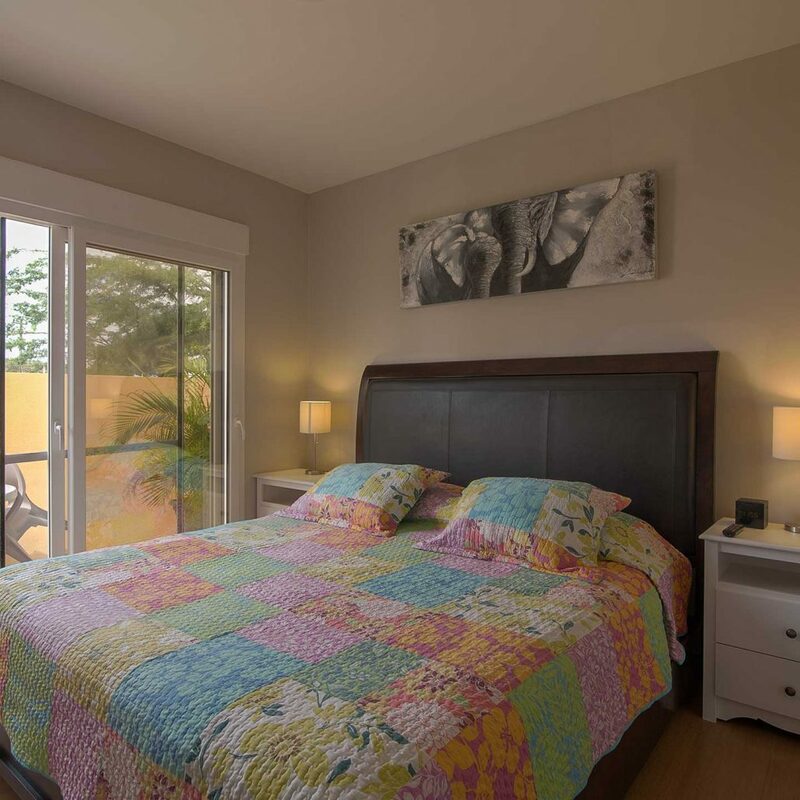 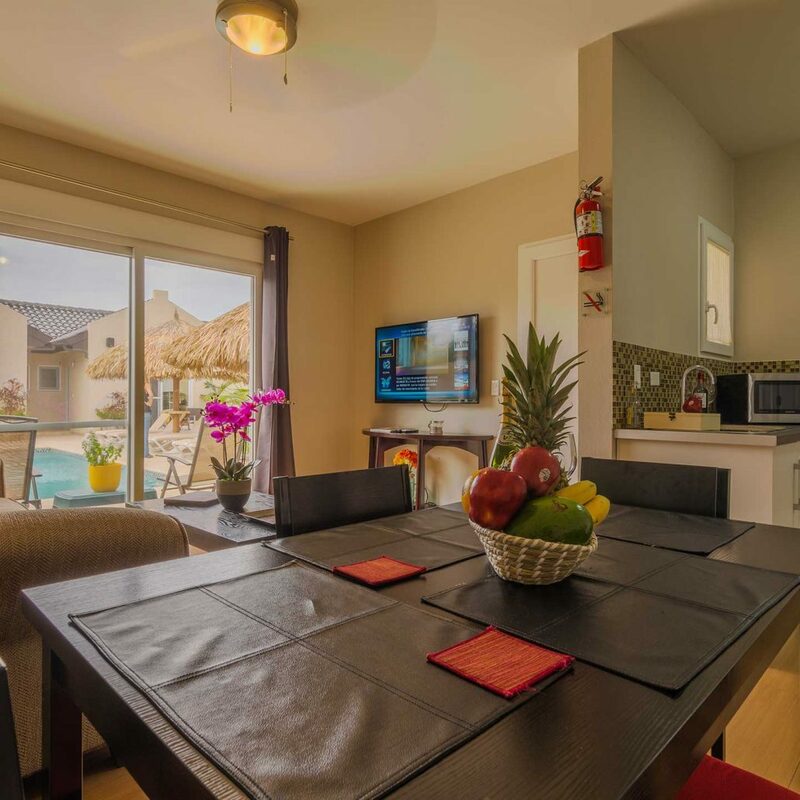 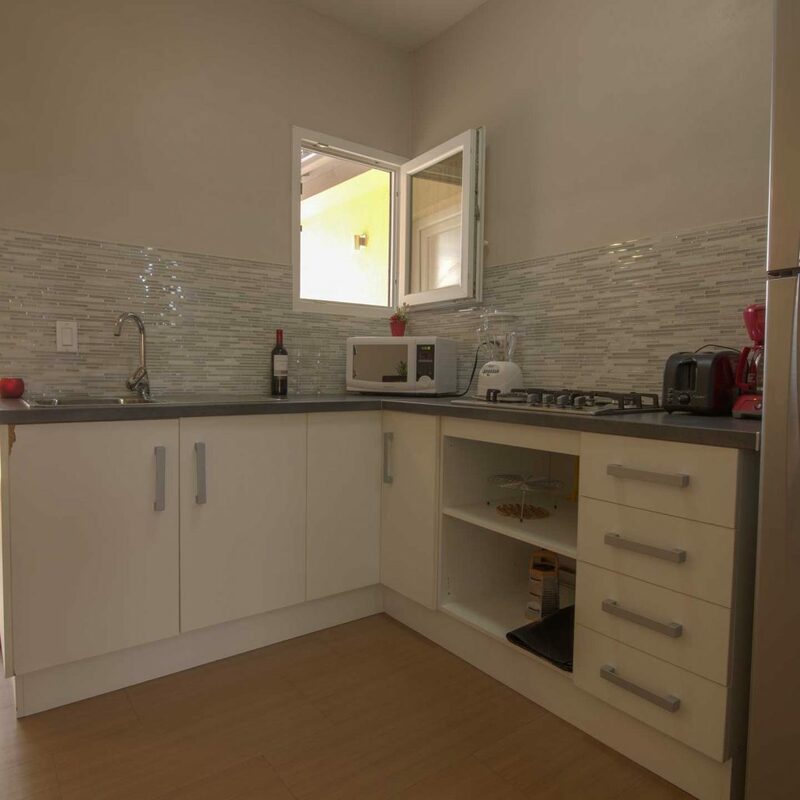 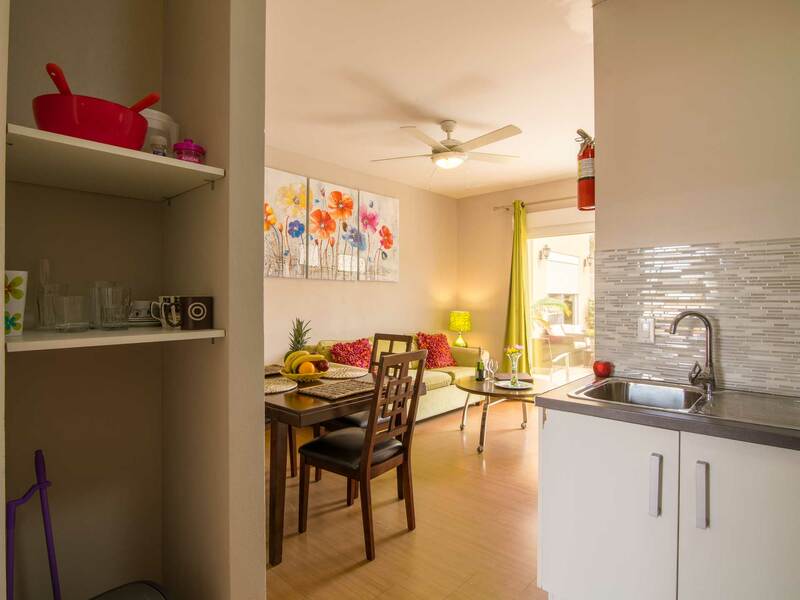 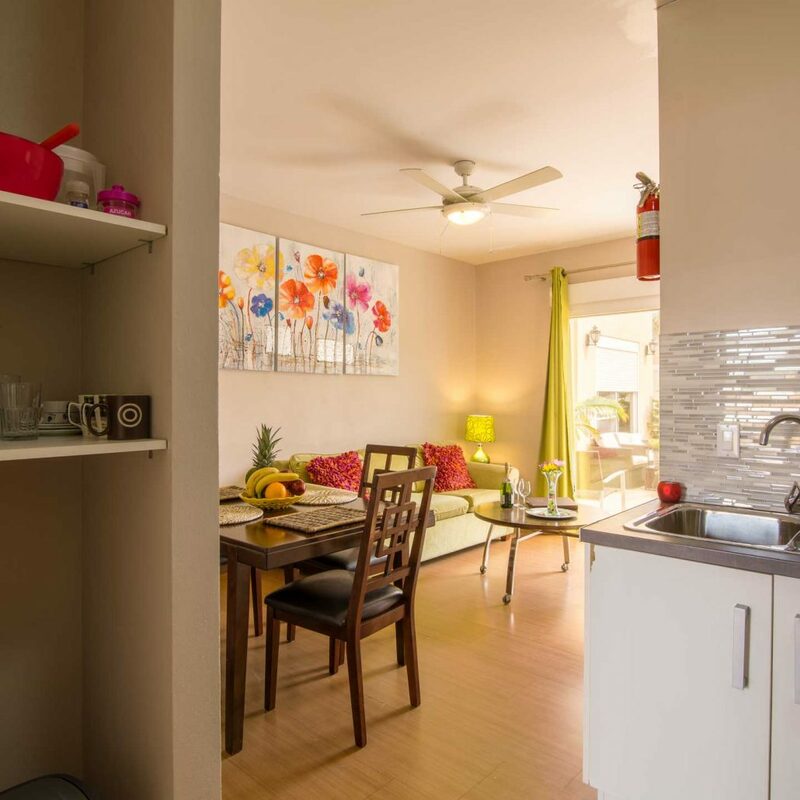 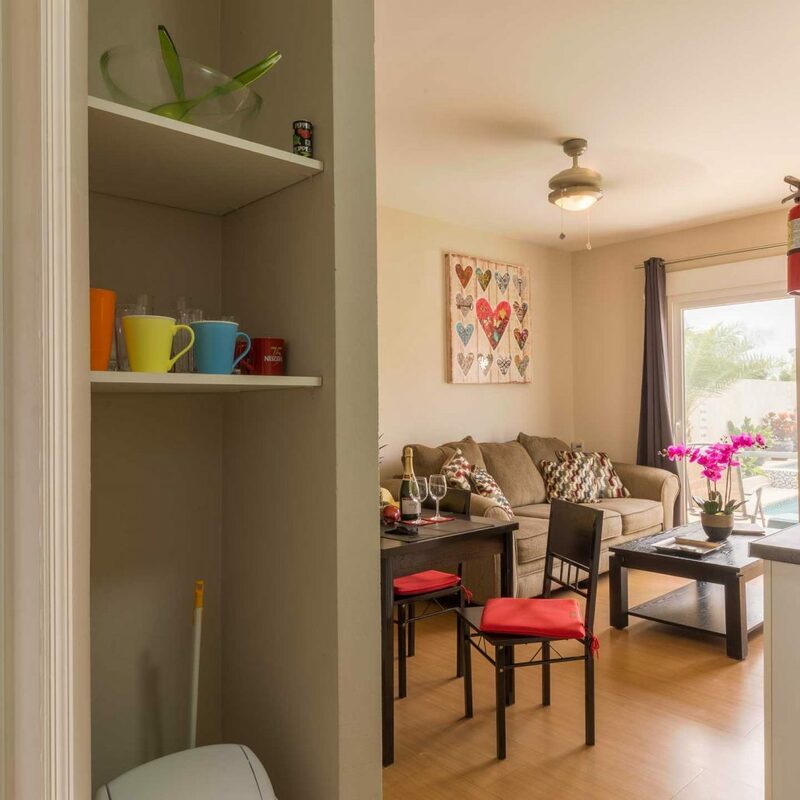 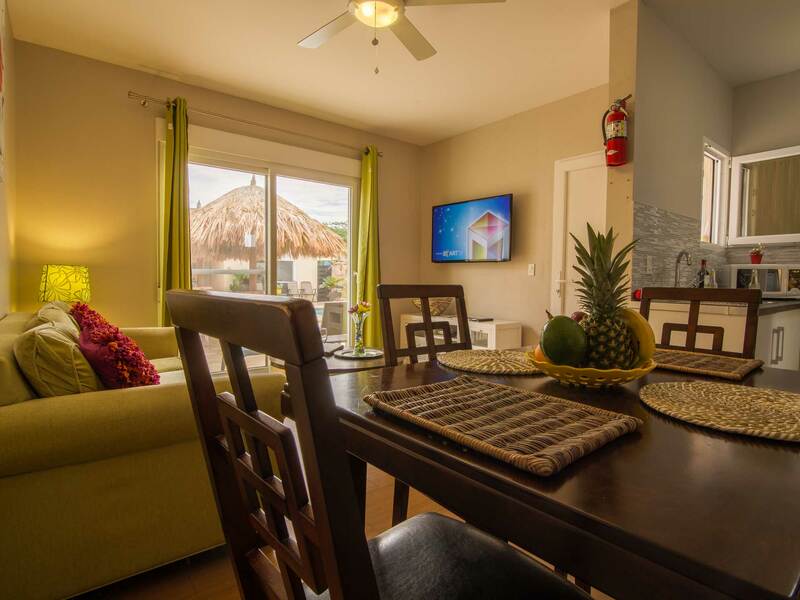 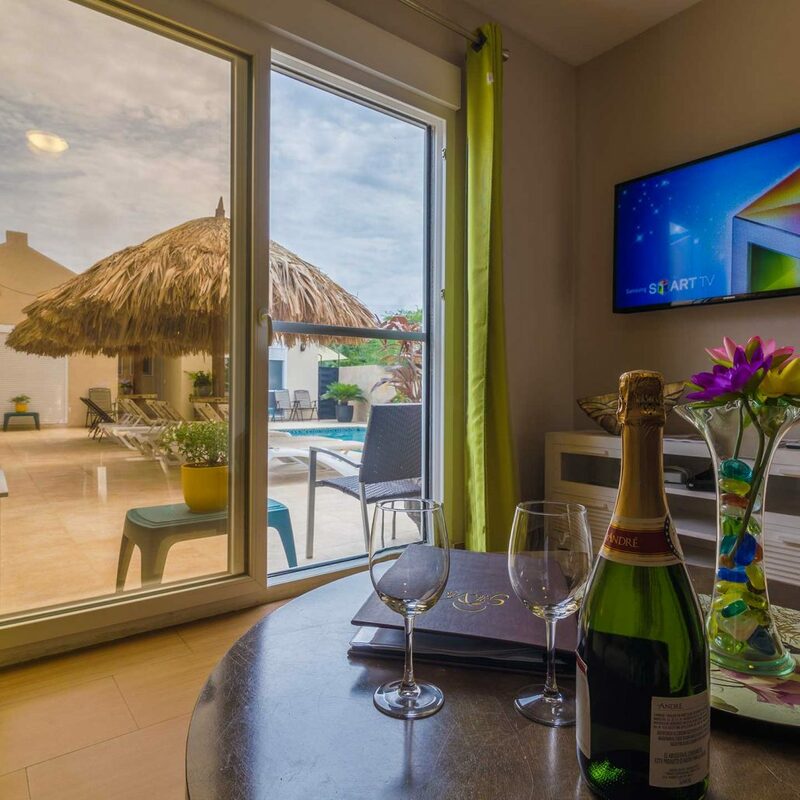 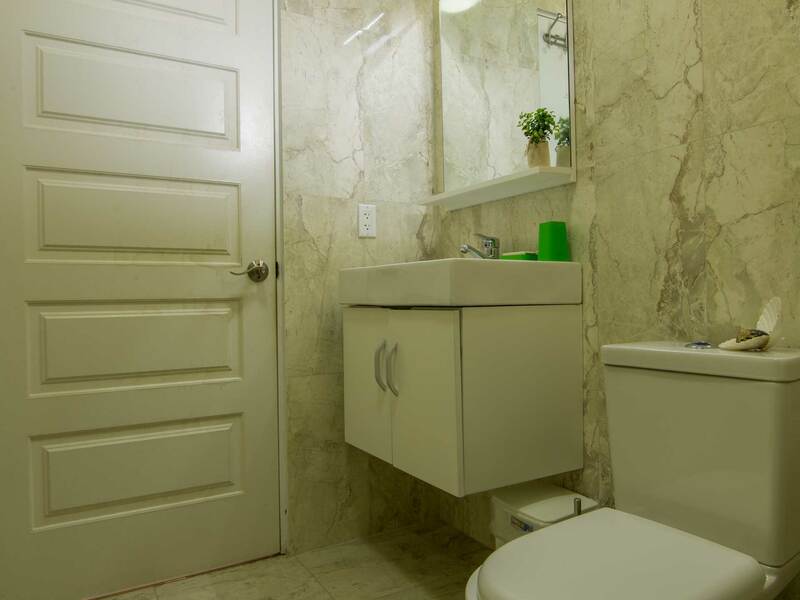 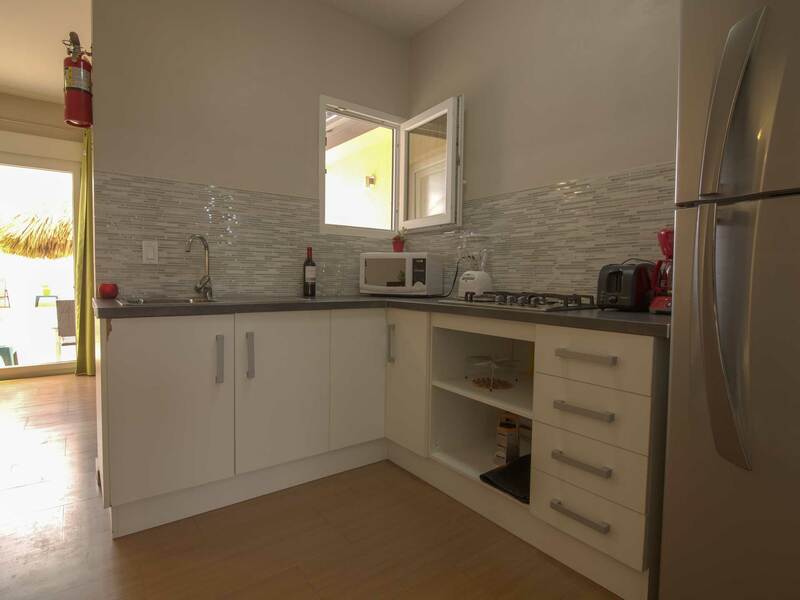 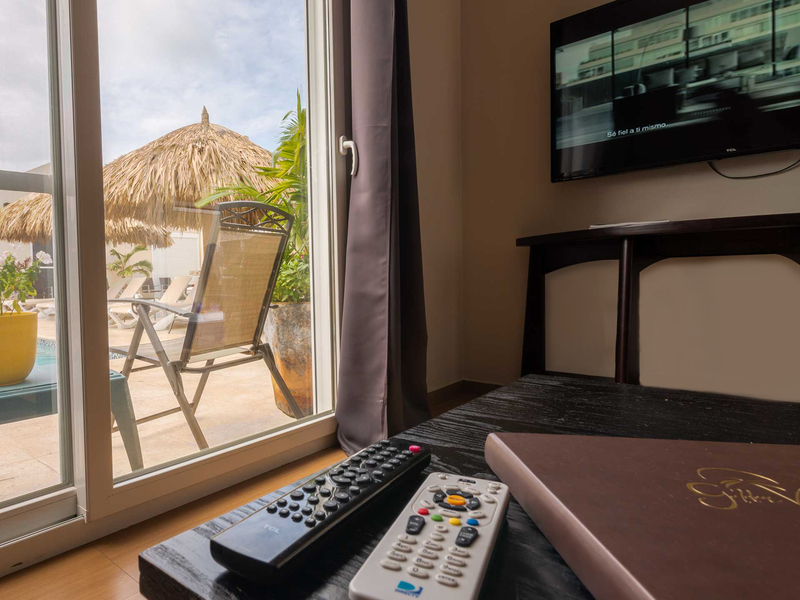 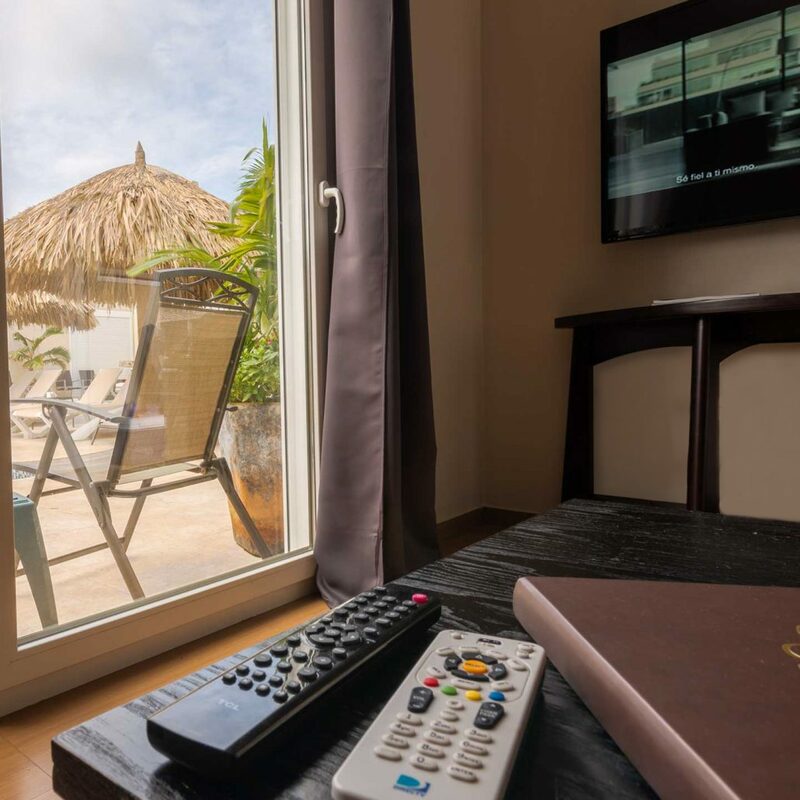 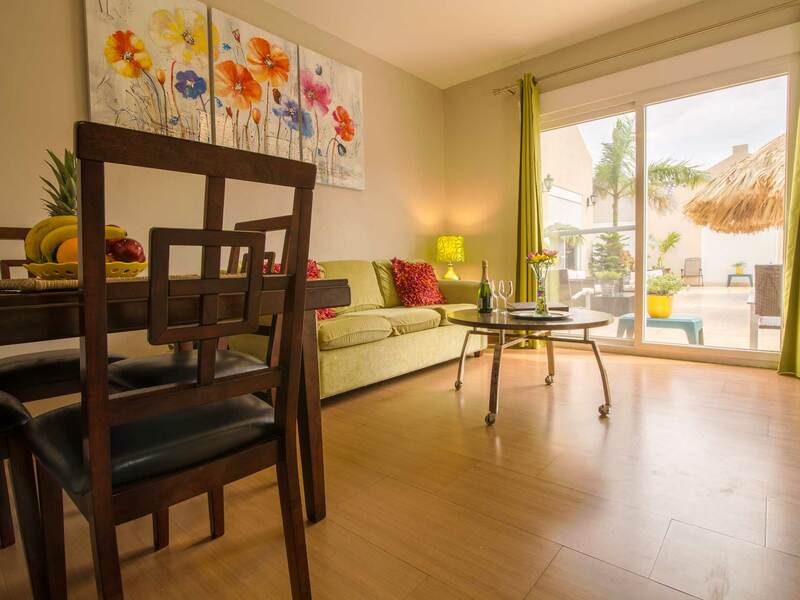 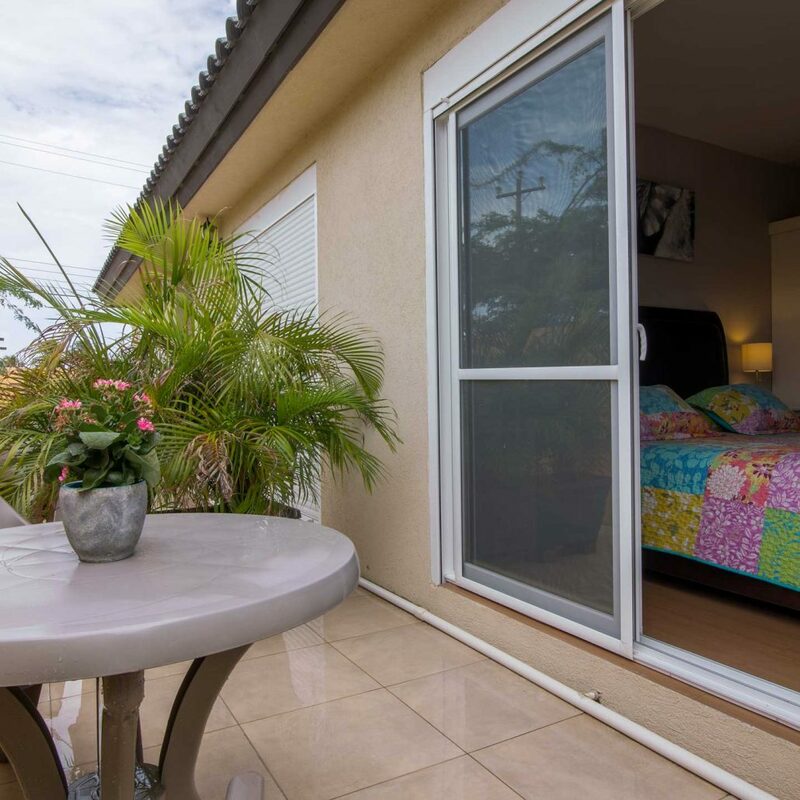 Comfortable kitchens and dining areas allow you to customize your budget, so you can fully enjoy the many wonderful pastimes Aruba has to offer!